Xu Lele is a figure painter who takes her subjects from popular literature. 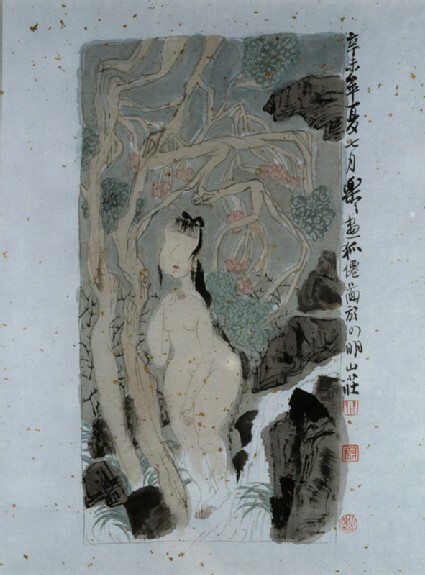 These two paintings [EA1995.269, EA1995.270] depict the Fox Fairy, subject of a Tang short story about a beautiful young seductress who is really a fox fairy in disguise, and having found a faithful lover is eventually torn apart by hounds. 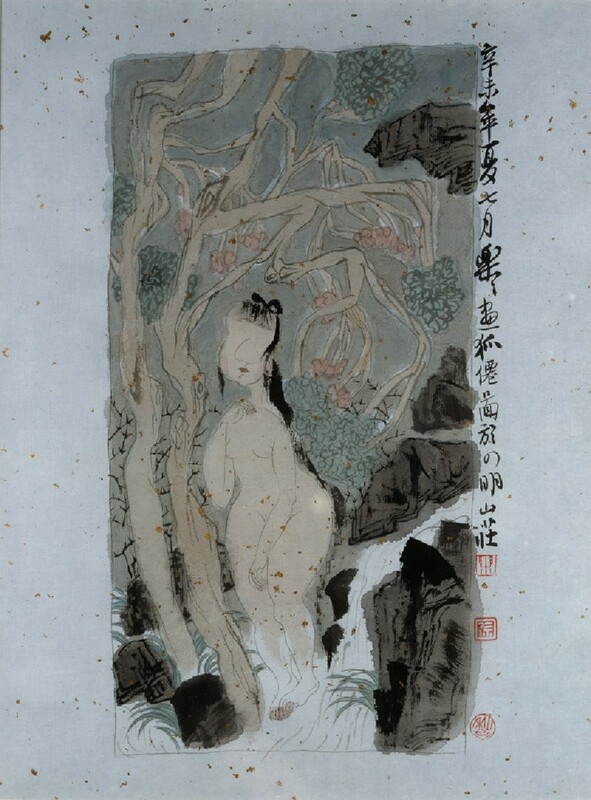 This painting and its pair [EA1995.270] are unusual in that they have been framed in pencil, and the calligraphy and seals fall outside the main composition. Gold-flecked papers, either plain or coloured, have been used in Chinese art for many centuries.